Holidays rhyme with relaxation! 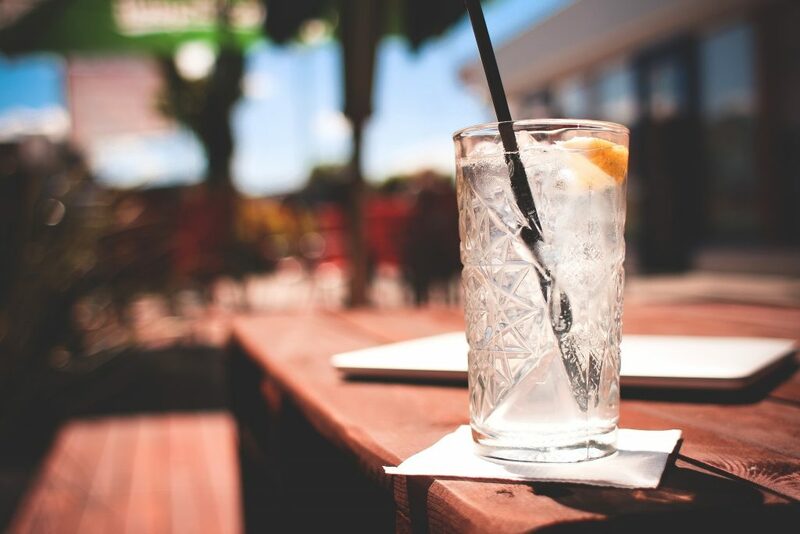 What is nicer than having a drink after a sunny day? The town is overflowing with friendly bars with different atmospheres! 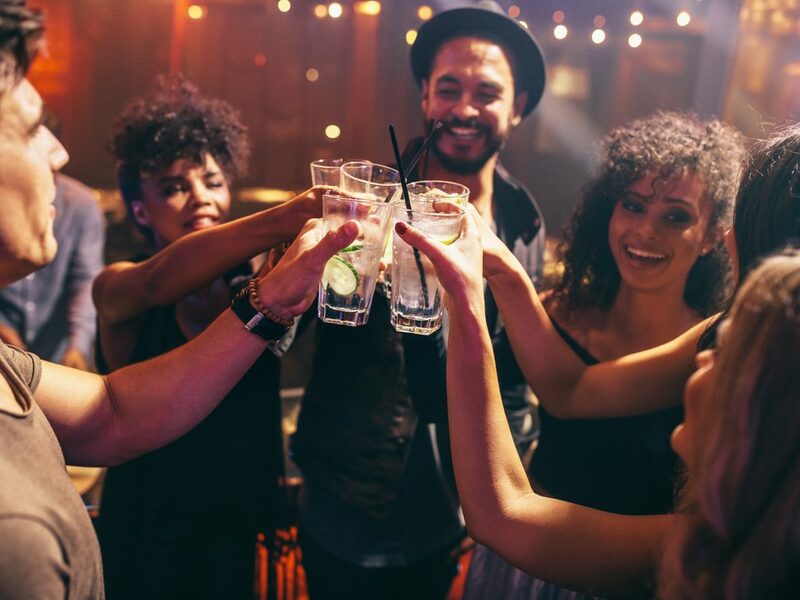 Thanks to our selection of the 5 best bars in Tossa de Mar, enjoy the Spanish way of life to the full during your holiday on the Costa Brava! During your holidays in Tossa de Mar, you can enjoy the lovely atmosphere of a small seaside town. In the cool evening air, locals and tourists get together in the narrow streets to have a drink with family or friends. Because this family seaside resort on the Costa Brava does not lack bars or terraces! To find the entire list of them, click here. For family holidays on the Costa Brava, choose Tossa de Mar! Book your holiday rental now. See villas for rent in Tossa de Mar. Contrary to what people may think, there are many places to go out to in Tossa de Mar. But far from the hectic nightlife in Lloret de Mar or Salou, here you will enjoy a more authentic relaxed atmosphere. 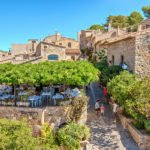 In addition to tapas bars, chic bars or live concert cafés, Tossa de Mar has beautiful terraces where you can sip a cocktail looking out to sea at the foot of the ramparts. It is the ideal place to prolong the evening after dinner and to enjoy the view over Tossa’s main beach with its lit up ramparts. 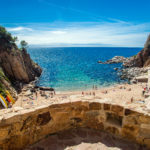 Whether you are looking for a lounge bar, a sea-facing terrace or a bar where you can dance, you will undoubtedly find what you are looking for in Tossa de Mar! Do you fancy a drink in an idyllic bar? Where to have a drink in Tossa de Mar? 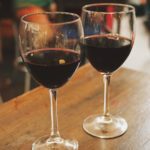 In addition to international bars, you will find typically Spanish places to go for a drink. These are tapas bars and bodegas. The Spanish concept of tapas bars is well-known in the UK where there are more and more of them. In addition to different drinks, you can order small cold or hot rations, of vegetables, cheese, cold cuts or seafood. 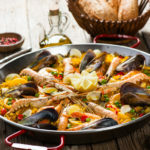 Not only is this the opportunity to discover a lot of different Spanish specialities, but also to eat for less. Needless to say that in the magnificent setting of Tossa de Mar, your tapas will have a very special taste! Bodegas are wine bars. You may be able to taste some tapas but this type of establishment will plunge you into the wealth of Spanish and more specifically Catalan vineyards. Particularly because the region of Emporda, to the north of Tossa de Mar, is famous for its rosé, red and white wine. A good choice for those who love good wine! 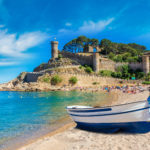 With an increasing number of tourists, some new, more modern establishments have opened in Tossa de Mar. 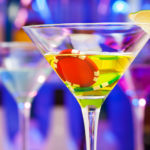 Cocktails, concerts, and dance floors: all the ingredients for a great evening.